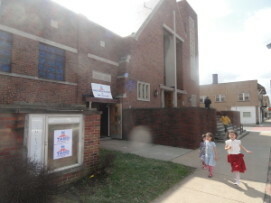 By Colin McEwen (patch.com) - The property, once the home of the Pentecost Evangelical Lutheran Church, was bustling with activity on Sunday afternoon. Hundreds attended the grand opening of the new Turkish American Cultural Center at 13303 Madison Avenue. Ersin Isbilir, the acting director of the new, told Lakewood Patch that Lakewood is a perfect for the new facility. He estimates that there are between 200 and 300 people of Turkish descent living in Lakewood, but added that the west side of Cleveland also boasts a large Turkish population.